Between them, Bournemouth and Poole offer a plethora of restaurants and cafés catering for every dietary requirement you can think of. From award–winning restaurants and fast food chains to fish & chip shops and pubs, there’s somewhere to satisfy everyone’s taste buds. 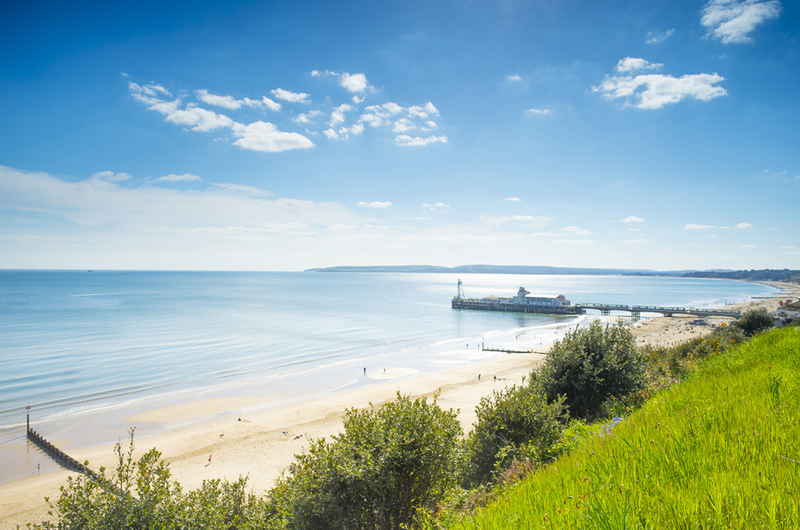 Bournemouth and Poole are proud of their cosmopolitan, multicultural flavours and this is reflected in the number of outlets selling international dishes – although good old traditional British fare isn’t too far away, either. 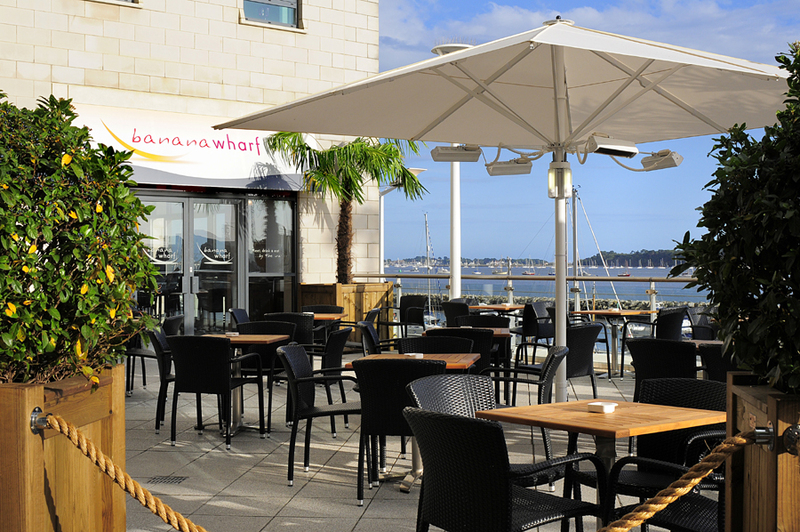 Situated slap bang on the quay in Poole, you’ll be hard pushed to find a better view of the town’s busy harbour. 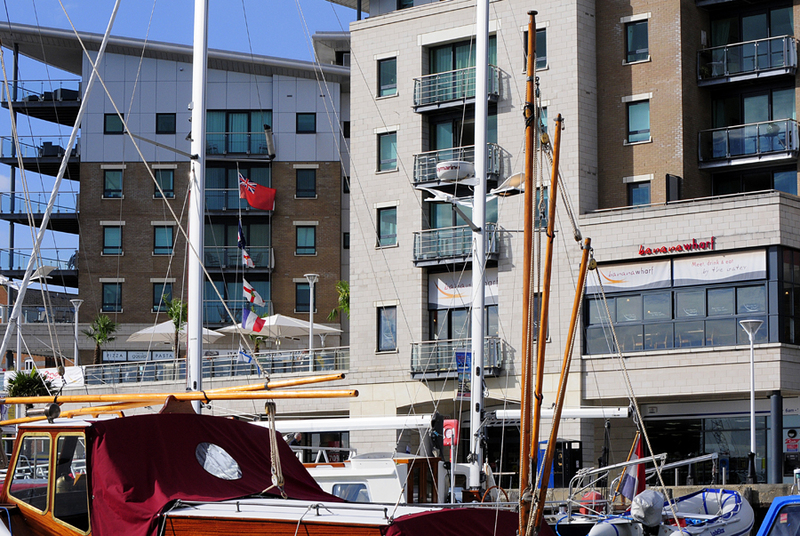 The restaurant’s panoramic floor-to-ceiling windows and outside seating area ensure that wherever you sit you won’t be disappointed as you gaze across the marina towards Brownsea Island. The menu reflects the offerings at the company’s flagship restaurant in Southampton’s Ocean Village. In days gone by, banana boats were regular visitors to the docks in Southampton, hence the choice of company name. The varied menu offers everything from tropical and oriental dishes to traditional favourites such as pizzas and pasta. The quality of food was excellent and the service speedy – portion sizes were generous, too. When it comes to finding suitable dishes for children, it’s pleasing to find a restaurant offering a larger than average kids’ menu. It’s reassuring, also, to discover they’ve kept up with the times in providing several options for veggies and vegans. The desserts were extremely inviting and certainly went down well. In fact, Paula and Peter won’t forget their crêpe in a hurry; I don’t think they’ve ever seen so much chocolate oozing from a pancake before! 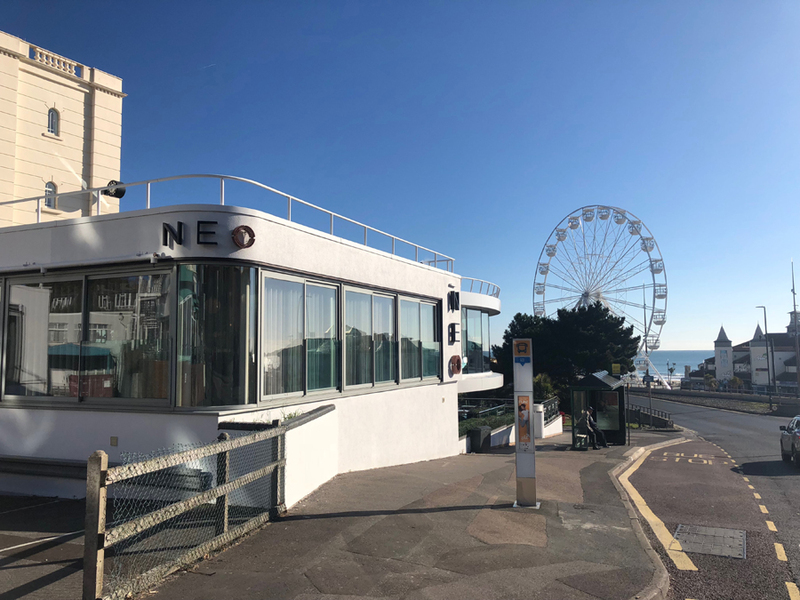 Conveniently and attractively situated overlooking Bournemouth Pier, beach and gardens, NEO Restaurant boasts superb views – definitely one of its main selling points. The restaurant itself is extremely contemporary in design and outlook. Set over two levels with additional outside space, the glass-fronted building makes the most of the views with the seating and décor complementing its overall appeal. This is the kind of place where you’d be keen to entertain friends and family. Various menus are on offer, depending on time of day. There’s a vegan menu and pretty decent kids’ options, too, including some unusually named cocktails. Peter enjoyed the Blow Me a Raspberry while Hollie opted for the Splish Splash! 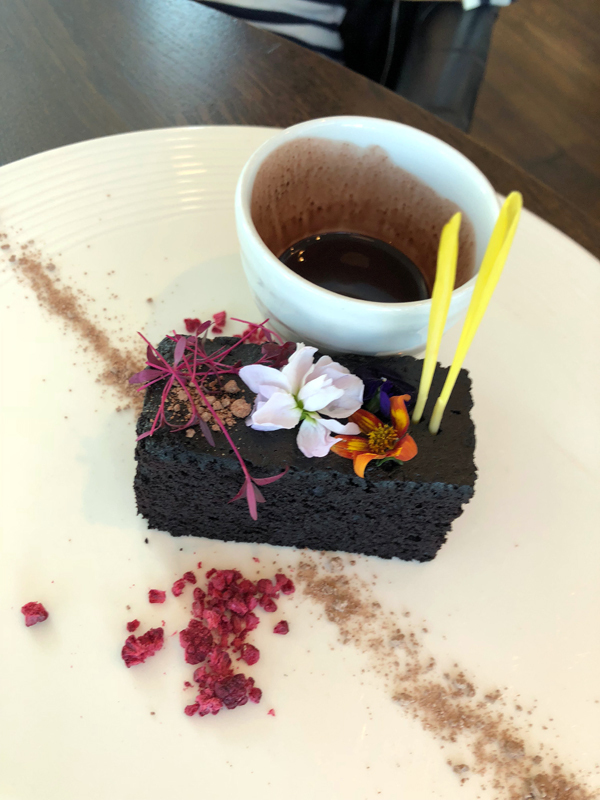 The restaurant’s approach is to offer a contemporary twist on traditional British cuisine using local, seasonal and sustainable ingredients while promoting itself as an “elegant space to suit any occasion” and I wouldn’t disagree. From cocktails in the lounge bar to a three-course meal in the restaurant, customers can expect a truly enjoyable experience. The service we experienced was excellent and quality of food first-rate. Hollie and I particularly enjoyed the vegetarian burger and it was pleasing to find the chef willing to adapt the menu to suit our personal tastes. Well done! 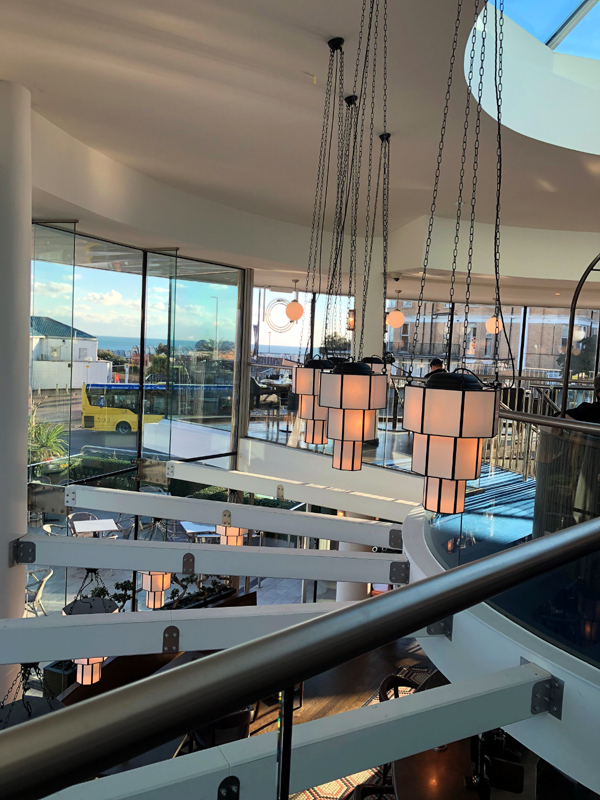 This former 1920s fishmonger’s and butcher’s is located between Bournemouth and Poole and open from breakfast time until late evening, offering dishes containing locally-sourced ingredients. When it comes to drinks, Jenkins and Sons specialise in craft beers from small producers. Resembling a mini-pub with a bar area and dining section, there’s a real rustic feel to this place with its wooden floors and mix of bench seating and stools running alongside the bar. 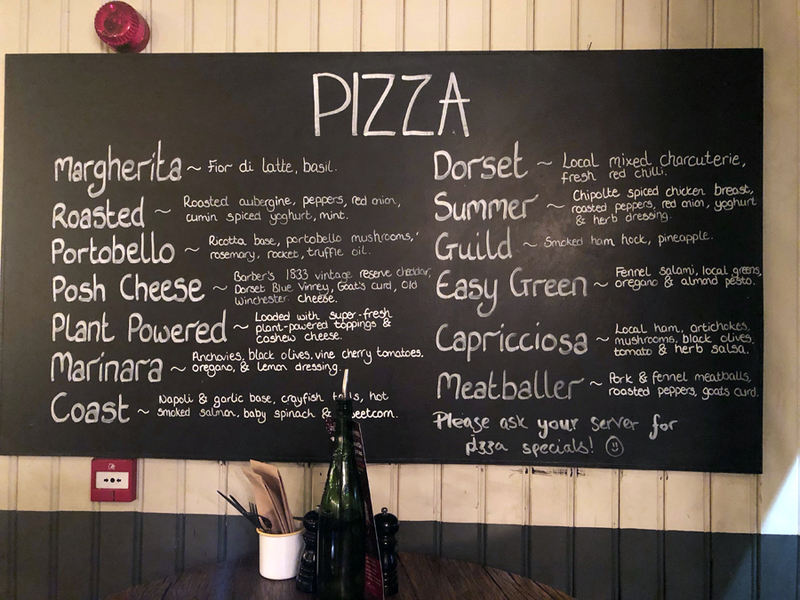 The owners’ aim is to “sell the best pizza in the country” and an authentic wood oven has been installed to help achieve this. 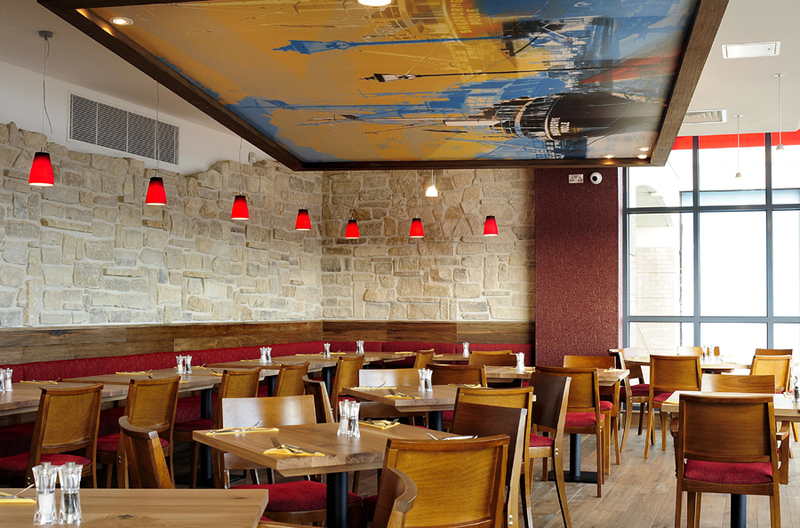 The menu is, therefore, dominated by pizzas, flatbreads and “fired pots”. The food we sampled was tasty and the service attentive. 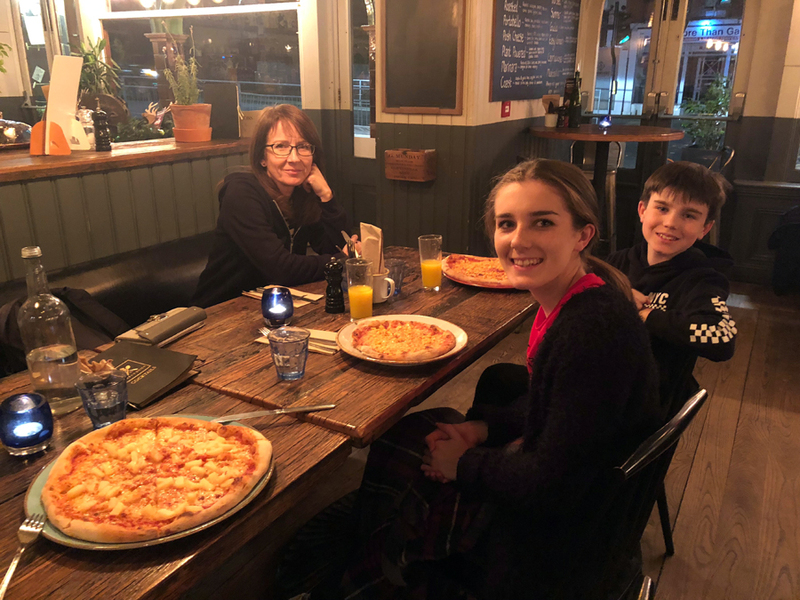 It’s worth mentioning that kids can enjoy half portions from the main menu at half the price – always useful if little ones are in your party. Plus, regular customers joining the Hug Club loyalty scheme receive various offers, including BYOB, 2-for-1 and kids eat free. If you’re looking for a more relaxed, casual night out, then it’s worth trying Jenkins and Sons.